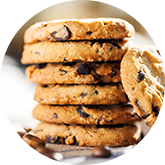 AAK is a world leader in specialty vegetable fats and oils for the bakery industry that allow bakery manufacturers to meet today’s consumer and legislative requirements without sacrificing quality. We offer a broad variety of shortenings, frying oils, margarines, cubed shortenings, flaked shortenings and hardstocks. Our products can be offered as non-hydrogenated, zero trans and low in saturated fat. 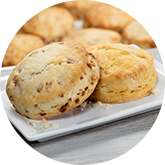 We converted the original partially hydrogenated soybean and cottonseed oil blend to our high performance non-hydrogenated bakery shortening, which exceeded all of the customer’s expectations. Now, our customer has a chocolate chip cookie that’s non-hydro, zero trans, low in saturated fats and as delicious as ever. Turns out, an impartial panel evaluated the new cookies and determined that the character of the crust was even better. Fat is an important component in baking, but it needs to be in the right place. Filled cookies present a challenge—keeping the shortening solution that provides creamy mouthfeel for the filling where it belongs, in the center. 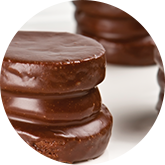 AAK worked with the customer to develop a unique cookie filling that prevented the oil from migrating to the cookie, which would negatively impact shelf life. The new formulation passed sensory and shelf life testing with flying colors, resulting in a new product designed to successfully penetrate a very competitive market. Our customer was facing a frustrating reality scaling up to full production with a competitor’s liquid shortening: unforeseen issues with clumping and clogging on their high-speed packaging line. We quickly determined that our specialty flaked shortening could be easily incorporated into the dry ingredient mix, providing a higher melting point to withstand friction created by processing. After a few minor adjustments, the customer experienced a highly successful production trial, enabling them to fast-track the development process and launch 8-12 months ahead of schedule. When a customer requested a routine quality meeting to discuss post-hardening issues with their competitor-supplied palm-based cubed shortening, we were ready to help. Together, we walked their plant to investigate the production and performance issues firsthand. With our expertise in specialty fats and oils, we accurately identified areas for improved production efficiencies. We suggested our flaked shortening as a replacement to eliminate the extrusion step in their processing. This eliminated the hardening issue and improved output by ‘debottlenecking’ their production line. 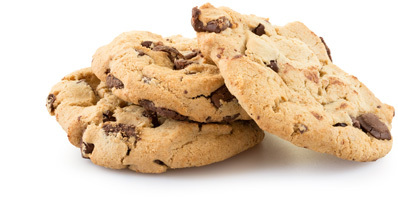 AAK has the non-hydrogenated, no trans solutions for your most challenging real-world baking applications. You can rest easy knowing that with PHO 2.0, our next generation of PHO-free solutions, your product will perform—and taste—just as good as it always has, with a consumer-friendly label. We help you meet today’s consumer and legislative requirements without sacrificing quality or turnaround time. 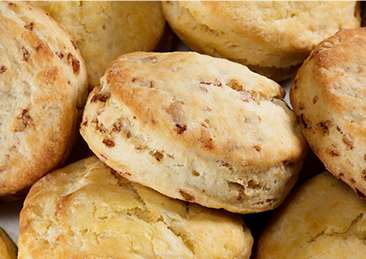 Our flaked shortenings improve texture and tenderness—without the roll-in process. Our new state-of-the-art facility in Edison, New Jersey features a collaborative bakery lab where we work together with you to co-develop innovative solutions that meet and exceed your desired attributes, for a successful finished product. AAK’s brand of multi-functional, palm-based bakery fats are non-hydrogenated and trans free. The Cisao brand includes margarines, shortenings, flaked products, and hardstocks. AAK’s brand of hard fat flakes and stabilizers are used for a wide variety of applications. AAK’s brand of high performance, low saturated fat bakery shortenings. EsSence products are non-hydrogenated, zero trans and low in saturated fat—and can be made with any liquid oil to achieve positive ingredient statements. 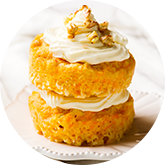 AAK’s wide range of margarine and hardstock solutions provide optimal results for desired body, texture, consistency, and shelf life in bakery applications.